Reel photography a photography studio based in Merthyr Tydfil came to us because they were fed up of their old website being too hard to use and update. Making the website easy to use was the main priority, but we also took the opportunity to make the new website much more aesthetically pleasing and moved the focus from the ugly website to a new clean and professional website with the focus on the work that the studio produced. The redesign that we carried out was to shift the focus from the website and move the focus onto the beautiful photos being produced by the photography studio. We redesigned the companies logo to match with their new website. You can see the logo and the colour palette used below. The photography was the star of the show. Some of the photos taken by Reel photography were out of this world. Because of this, our design was to focus on making the photos the star of the show and our design so subtle that the user wouldn’t think about it. 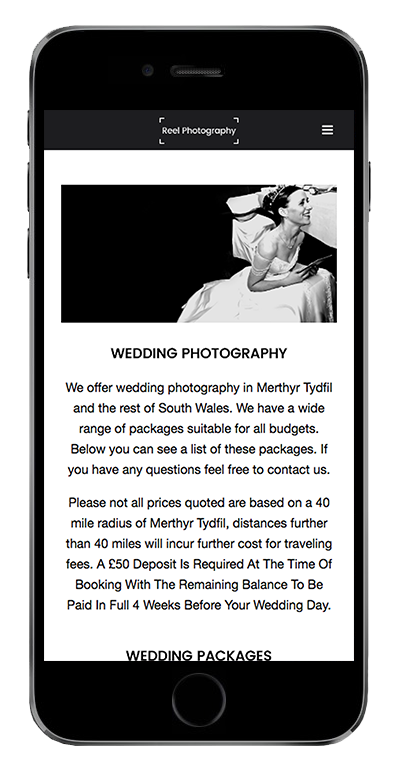 We took an old, in your face website that broke every time you tried loading it on a mobile phone and transformed it into a beautiful, mobile friendly website that made booking a wedding photographer very easy. The old website didn’t work great on mobile devices, we changed that making the new Reel photography website easy to use and navigate. The site is also much more search friendly. The website ranks number 1 in its local area and even shows up nationally on the search engines. Increasing search traffic and ultimately bookings. Reel Photography is now the number 1 ranked photography studio in Merthyr Tydfil, it also ranks for other searches including Swansea, Cardiff and other areas of South Wales. What a result! The new website in our opinion is stunning, it’s easy to use, looks great and more importantly captures far more bookings than ever before. 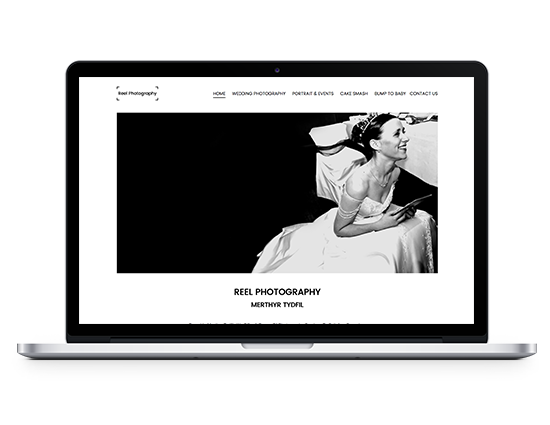 We loved being able to help Reel-Photography transform their online presence. 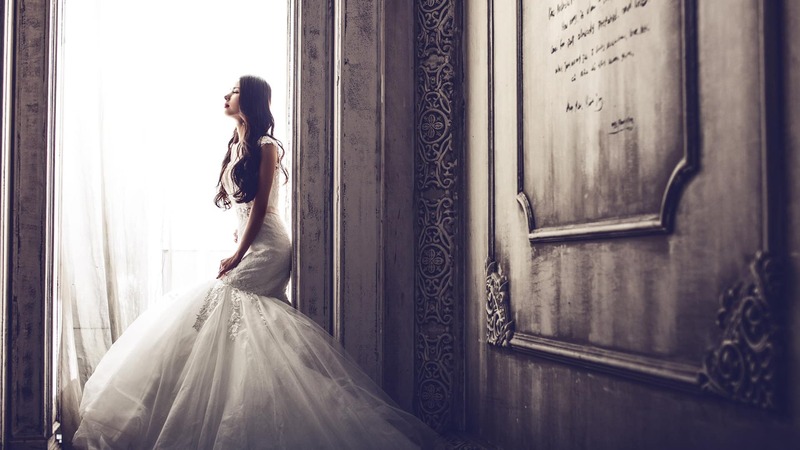 You can view the Reel-Photography website below.